How can we help distressed parents and babies? Child and adolescent psychoanalysis has been developed to help young people with emotional problems. Children may be shy, sulky, anxious, sad, defiant, acting out, etc. Teenagers may be confused, isolated, angry, anxious, uncertain and bewildered about their identity, and so on. These young persons can benefit from an analysis, or from psychotherapy, a method that was developed out of child analysis. The two methods are rather similar, though sessions in therapy are less frequent. The Swedish child psychoanalysts are organized in a section within the Association. It is called BUM, or in English: the Reception Service of Child and Adolescent Psychoanalysts in Stockholm. BOOKS: If you want an easy-to-read yet serious introduction to how we analysts get to know what children “look like inside”, I recommend DIALOGUES WITH CHILDREN AND CHILDREN. The book tries to make accessible those sometimes weird and baffling experiences that an analyst may have together with a child or youngster in treatment. To make them easier to digest, we have written some “letters” between a child patient and a therapist. The aim is to illustrate, without any professional terms, what goes on “inside a child’s mind”. The book’s final chapter introduces some of the debates that have been going on in child analysis since its inception. Another book that I recommend is CHILD AND ADOLESCENT PSYCHOTHERAPY by Peter Blake. It is more directed toward professionals than the aforementioned book, and is richly illustrated with clinical case material. The pioneers of child analysts were Sigmund Freud’s daughter Anna Freud and Melanie Klein. Both of them were, as was Anna’s father, escaping from the avalanche of nazism that was beginning to lay Europe under its brutal yoke. All three moved to London, where the controversial discussions took place in the analytic circles during the 1940s. The topics under an often heated debate were, for example, if children with emotional issues were best helped by a therapy method that also contained a pedagogic ingredient. Another question was whether a little child was capable of forming a specific relationship, a so called transference, with the analyst. Anna Freud and her group would answer yes to the first question; the child needed an introductory period to get familiarized with the method. They answered no to the second; a child is too closely linked with the parents to be capable of deploying specific fantasies toward the analyst. In London, Anna Freud formed the Hampstead Clinic, today Anna Freud National Centre for Children and Families. 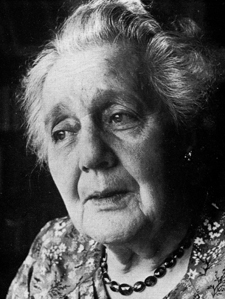 Melanie Klein took a different position. One needs to name to the child, she claimed, the feelings that roam about in the depths of its soul. Importantly, these feelings also get stirred up, and quickly so, in the relationship with the therapist. She thought it was important to name this transference relationship early in therapy. Otherwise, the child might become scared and lose its motivation for treatment. This discussion still goes on; whether one should focus more on pedagogical and cognitive aspects or, in contrast, one should approach the “internal monsters” that frighten the child and thus pave the way for its symptoms. Another Londoner, D.W. Winnicott, was a paediatrician who trained as a psychoanalyst. He sought to integrate Klein’s ideas with his experiences of how babies react to their environment, by which he mostly meant the mother. He coined the concept of the “good-enough mother” to describe an optimal environment for the baby. 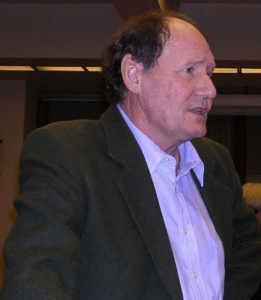 He was thus particularly interested in the mother-child relationship, which he not only conceptualized in theoretical terms but also approached in brief consultations at the Paddington Green Hospital, where he worked for 40 years. 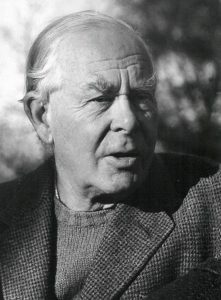 On the right-hand side we find John Bowlby, the founder of attachment theory, and a London psychoanalyst as well. His positions differed from many of his contemporary analyst colleagues. Many of them thought that he put too little weight on the child’s unconscious drive impulses and that he relied too much on observable behaviour in his theorizing. Bowlby, on the other hand, meant that they overlooked the environmental impact on the child’s development. Here, as well, a debate is still ongoing. One should, however, recall that Bowlby and Anna Freud had much in common, for example, their studies on how children reacted negatively to being separated from their parents during the Blitz of World War II. These children were sent away to be protected in the British countryside but missed their parents enormously. Quite frequently, they reacted with emotional disturbances. The negative impact of separation, an observation that Sigmund Freud had noted already in the 1920s, could now be confirmed in larger studies. Serge Lebovici was head of Centre Alfred Binet in Paris. He established brief consultations à la Winnicott. He was also among the first to introduce attachment theory in France. He combined these theoretical platforms with his extensive Freudian training and developed therapies with mothers and couples, often in the presence of the infant. There exists a very interesting DVD series, “A l’aube de la vie” where Lebovici and his colleagues discuss parent-infant cases. The films are in French but with English subtitles. They give a good insight into Lebovici’s intuitive and spontaneous technique with parents and infants. As we see, many questions are under intense debate in child psychoanalysis. Evidently, it is a field that is difficult to comprehend. We adults find it more difficult to grasp what goes on in the mind of a child and also to get in contact with him/her. When I was training to become a child analyst, a heated debate was going on concerning children with neuropsychiatric diagnoses: ADHD, DAMP, autism disorders etc. To my mind, this debate was often simplistic. In principle, general opinion had it that the impulsivity and the difficulties with attention in children with ADHD was either caused by a cerebral dysfunction or by a malfunctioning society. There was little space for also applying a psychological perspective, that is, what it meant to these children to have a diagnosis, and which thoughts, fantasies, and feelings were concealed behind the diagnostic label in each individual child. I was working with ADHD boys in psychoanalysis. I noticed that the symptoms often appeared when the boy had feelings which he could not name or handle. Psychoanalysis seemed to be of help as a complement to pedagogical and, sometimes, medical treatment. You can read more here. Medication and psychotherapy are often juxtaposed in the debate, which I think is unfounded. Compared with Scandinavia and the Anglo-Saxon countries, it seems that French and German child therapists have protested more against a one-sided biological interpretation of ADHD symptoms. Without ever denying the impact of neurobiological factors on the child, they have suggested that psychotherapy may be useful for them. The point is not that such therapy could “cure” the symptoms. Actually, no advocate of any treatment could make such a claim. What the psychotherapist can do is to help the child understand better the links between his symptoms and the emotions that swirl around in his mind. One of these analysts is Florence Guignard in Paris. It should also be mentioned that American journals, such as Psychoanalytic Inquiry and Journal of Infant, Child and Adolescent Psychotherapy have published special issues on neuropsychiatric disorders. The next step in my training was inspired by a colleague, Johan Norman, who developed a method which he called ”mother-infant-psychoanalysis”. He thought it was possible for an analyst to get in emotional contact with a baby if the mother was present during sessions. That sounded strange and exciting, I thought. If you feel the same way, read further on! Indeed, there had been other analysts working with babies and parents. 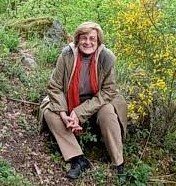 One was Françoise Dolto, a Parisian analyst. She had been trained by Jacques Lacan, whose intricate theories she managed to make digestible for a larger audience. In contrast to Norman, she claimed that babies sometimes could understand the lexical content of her words. Though this is demonstrably wrong, she seems to have had a remarkable talent of getting in contact with babies and of helping them toward a better relationship with his/her parents. Another pioneer in parent-infant psychotherapy was the US analyst Selma Fraiberg. She founded a clinic in Denver, Colorado, which later moved to San Francisco. It is still existant and one of its front figures is Alicia Lieberman. Like Dolto, Fraiberg was also very talented in establishing contact, not only with babies but also with the public readership. She has written accessible books that remain classics for people to want to understand what goes on in a child’s mind. Her book THE MAGIC YEARS is a true gem.